Sitting in front of me is a twenty-something man, with long, rakish dark hair and ice-blue eyes. He’s wearing leather chaps engraved with forest scenes, a tunic and dark leather leggings with high-top boots. His bow and a quiver of arrows rest against the chair. He’s a fey hunter of the realm named Amaranth; a world separate but connected to our own. Good morning, Hector. Thank you for coming in to talk to me. I have to say, I’m pretty excited about it. Well, it’s not every day a beautiful woman corners me. (wink) Especially one who seems to know so much about Amaranth. Even knowing who I am is highly unusual. (blush) I make a point to do my research. I was actually searching for Morgan, but found you first. Consider yourself lucky, love. Running into Morgan when he’s not expecting you would be most unwise. He is not as… well acquainted, with your world as I am. It’s simple. We’re bound in duty to our Queen—we cannot speak with any mortal unless it is necessary to aid us in the hunt. And giving any mortal more than a passing word is strictly forbidden. Morgan is a dutiful man, and he would go to great lengths to ensure he obeyed his oath. If you are bound by the same oath, aren’t you breaking it by talking to me? (wicked grin) I never said I wasn’t, did I? So you’re not actually loyal to your Queen. I never said that, either. Now you’re putting words in my mouth, love. I only said I was bound in duty, as is Morgan. What Morgan chooses to do while he is in Otherworld is his business, not mine. I merely suggest that he would not be as easy to convince as I was. Alright… So how do you know Morgan? Why the interest in him? I hate to tell you, he would not be taken as I am with your feminine charm. I… No, I’m just curious about his life. How did you two meet? Ah, very well. I first met Morgan when we were young men, training for knighthood. It’s said his parents both died when he was young, and he took on the responsibility of raising his younger sister. I believe the desire to become a knight was an extension of that—protecting her. When the time came, I was knighted first, and Morgan shortly afterward. We’ve been peers in the Queen’s service since then. Is that when you began your trips into our world? Oh, my dear… If every knight were able to venture into your world, the secret of Amaranth would not remain hidden for long, would it? Morgan and I are her only journeying knights—we are the only ones to possess the ability to travel between the worlds. The Queen is very suspicious of you lot, and wouldn’t risk more than that. Why would she be suspicious of me? Not of you, lovely. But of humanity. We fey are not like you… We are beings driven by passion and whim. We could easily overpower you in close combat, but you humans possess a capacity for mechanical thought and organization we will never achieve. It is the difference between a panther and an ant. If humans were to know Amaranth existed, war would undoubtedly come. And the Queen fears what humans are capable of, in such regard. Why does she even bother sending knights into our world, then? Why take the risk? What would happen, do you think, if a creature of Amaranth were to be found in the mortal world? Humans have grown increasingly more curious, and less satisfied with gods and magic as an explanation. If a wierwolf were to be captured and examined, it would only create a hunger in you to learn more. The Queen believes our presence here is worth the risk, if we can prevent humans from coming upon knowledge that would betray Amaranth’s existence. Well, it seems to have worked pretty well so far. You said you hunt something called a wierwolf… Care to elaborate? (casual wink) Now if I told you that, I would be defeating the Queen’s intent, wouldn’t I? Hector, your relationship with the the Queen seems to be very… complicated. (a laugh) My history with the Queen has been a complicated one. Suffice it to say we have similar goals at the moment. I know how she operates, and what I’ve seen suites me fine, for now. What if her goals changed to cross yours? Who can say? She values me as a knight, and for that she excuses many… indiscretions. But she is fey… Her favor changes quickly. But don’t you worry about that, love. If I end up in trouble, I have a wonderful and nosy mortal I can offer her as a peace offering. Who… (realizing it’s me) Oh. Uh… Right. Well, I think that’s all the time we have for now. Thanks for talking to me, Hector. (amused smirk) Of course, love. Remain, Book I in the Knights of Amaranth series, is now available on Amazon, Smashwordsand AllRomance Ebooks! Jace is an artist whose personal life took a back seat two years ago after he parted ways with an alcoholic ex-boyfriend. He has settled comfortably into his new life alone. He works mornings at the local coffee shop and evenings at an art gallery. His life is quiet, but that’s alright with Jace. Until he meets Morgan. The man is intense, passionate and earnest to a fault. Jace falls head over heels, but it quickly becomes clear that Morgan is more than he seems. As Jace finds himself thrown into a world of monstrous creatures and arcane beings, he’s confronted with Morgan’s real nature – a knight of the fey, sworn in service to a Seelie Queen. It’s a world Morgan never meant him to know. Jace’s arrival in the fey realm turns the heads of many. When the price of their tryst becomes a fight for their lives, Jace and Morgan face questions of love, loyalty and what humanity truly means. Each must decide where he stands before fate makes the decision for them. The door to the gardens closed solidly behind her and finally, as if relieved from a heavy burden, the Queen sighed. The torches in the hallway burned with fervor, not betraying the passage of time. She stood silent for a moment, unmoving. If the harsh voice surprised her, she did not show it. She turned her head—a casual figure stood leaning against the stone wall, arms crossed. His raven-black hair hung down before his eyes, masking their gleam in the flickering light. The curve of his back was graceful, like a swan’s, as he pushed away from the stonework to approach. He could feel her now, her breasts against the fabric of his tunic. He did not know if he had moved forward, or if she had closed the distance between them. With tentative hands he grasped her upper arms, as if fighting some inner battle. Her scent surrounded him, enveloping him in its warmth, and her skin was a mere second away from his quavering breath. His hand slipped down across the curve of her delicate waist and the folds of her satin gown. The words provoked a sneer. “We shall test that tonight. You best look to your magic, for your cunning is flawed.” And then he turned, traversing the long, shadow-cast hallway, not even caring to look back. Alex Jones is a young writer with a passion for character-driven prose and looking at things from different angles. She enjoys writing complex characters, and it has developed into a love for antiheroes of all stripes. Early on, she encountered The Silmarillion by J.R.R. Tolkien, and the grandness and tragedy of the heroes inspired her to create her own worlds, and her own tales. She alternates writing epic fantasy and GLBT romance. As a person, Alex is an an irredeemable cynic, a hopeless romantic, and in love with the impossibility of it all. She enjoys spending cozy nights at home with her brilliant husband, Anthony Gillis. 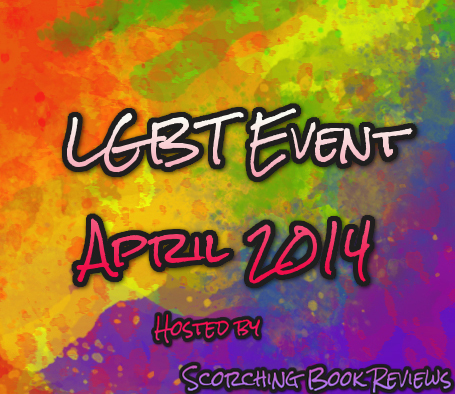 For the Grand Prize Giveaway, I will be giving away ten of my top LGBT books. These books will be gifted via All Romance as the books are available to readers on all the types of eReaders (you just need to sign up for a free account to access the books and you can send them directly). If you have any of the books and you win the prize, speak to me and I’ll see what else I can do. Thanks for the interview and excerpt. Remain sounds awesome. Count me in! Ha!! Great interview! And it looks like a great book…gorgeous cover! Great character review and excerpt!